Staci leads the DRM’s developmental disabilities team of seven advocates and attorneys and has litigated Medicaid, Americans with Disabilities Act, guardianship, and other civil rights cases. Staci was DRM’s lead attorney in Van Meter v. Mayhew, a class-action lawsuit that forced the Maine Department of Health and Human Services to provide services to people with developmental disabilities so they can live in the community. 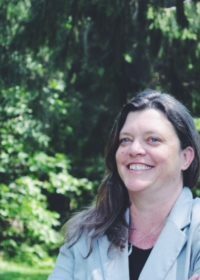 Prior to joining DRM in 2008, she was an associate attorney specializing in special education law at a Portland law firm, a member of DRM’s Board of Directors, and a law clerk to Justice Susan Calkins of the Maine Supreme Judicial Court. Staci holds degrees from the University of Maine School of Law and the University of Texas at Austin.